Damage State Patrol car hit while trooper provided traffic control at fatal accident. The driver of a car was killed after a crashing into a piece of farm machinery this morning in Jasper County. The crash happened around 8 a.m. on Highway 163 near Monroe. The Iowa State Patrol reports a car caught fire after running into the back of a piece of farm equipment being pulled by a tractor. Troopers believe sunlight in the driver’s eyes may have been a factor in the crash. The name of the person killed in the crash has not been released. 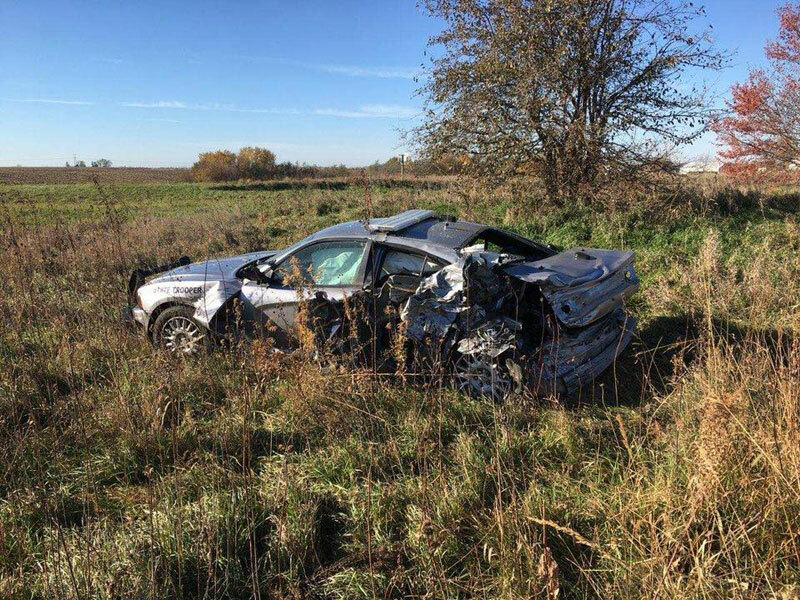 The Iowa State Patrol says a trooper’s car was struck as he provided traffic control during the accident. 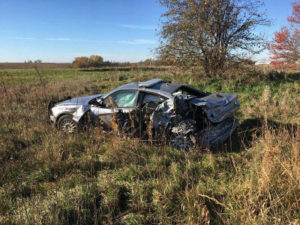 The trooper was not in the car at the time and the State Patrol says it was a case of distracted driving.